Many of us will develop our wisdom teeth, also known as third molars, at some point in our lives. Most commonly they start to show themselves in our teens but can make an appearance later in life… or perhaps never at all. However, these new molars can present a whole host of problems for us and are usually removed. But is this procedure really necessary? Let our dental office in Centreville help. First, it’s important to know that more than 90% of Americans need to have their wisdom teeth removed. It’s an incredibly common procedure that’s relatively easy, and thanks to advancements in technology, fairly comfortable. But why is it so important to have wisdom teeth removed? The most common reason why wisdom teeth need to be removed is due to the lack of space in the mouth for four more teeth. Dental x-rays will be able to tell if this is the case pretty early in the development stages and wisdom teeth removal will be recommended. However, if this is not caught early, or if treatment is not completed, the teeth will begin to erupt, pushing the other teeth out of the way. This will cause overcrowding and crooked, overlapping teeth. There’s also the possibility that the teeth will get lodged under the gum line and in the jaw bone. This is known as impaction. Impacted wisdom teeth can be very painful and the procedure to remove them becomes more complicated. Lastly, impacted wisdom teeth can increase the chance for infection or an abscess. Wisdom teeth tend to erupt just like any other teeth with the roots facing the jaw bone and the crown pointing toward the gum line. However, there are times when wisdom teeth can become crooked or start to erupt at an angle or sideways. 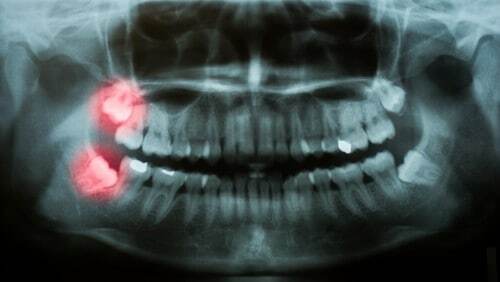 If the happens wisdom teeth to be extracted before they have a chance to cause permanent damage to not only the other teeth but also to your bite. Perhaps you’re one of the lucky ones whose wisdom teeth came in nice and straight and had plenty of room. Your dentist in Centreville may still recommend that they be removed to prevent problems later. Since wisdom teeth are hard to take care of properly — brushing and flossing all the way back there can be very difficult — they do increase the risk of decay and even gum disease. The best way to reduce the risk of your wisdom teeth causing you trouble is to monitor their development by visiting our Centreville dental office regularly and following through with any recommended treatment. Luma Dentistry has four dental offices in Bessemer, Hoover, Centreville, and Montevallo to better serve you.